Rejoice: the Chicken Clubhouse is back. 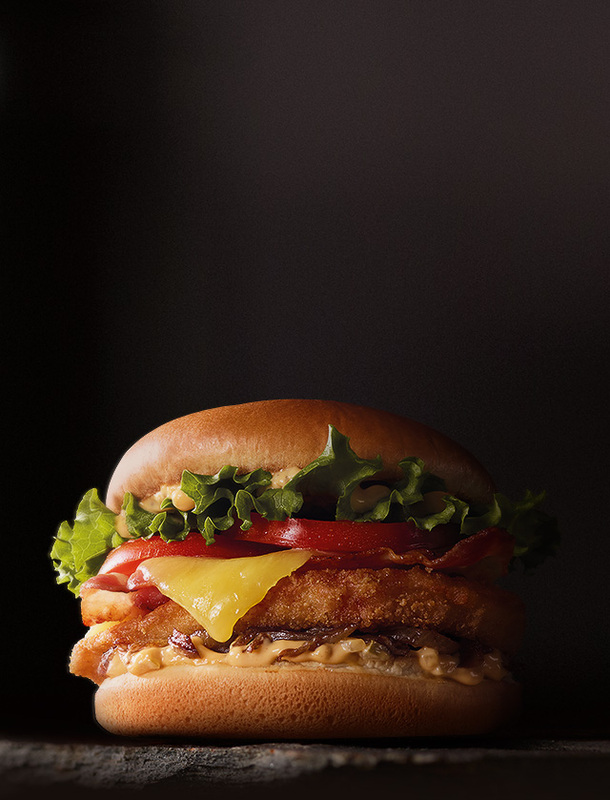 Mouth-watering chicken breast, tasty rasher bacon, caramelised onions, tomato, lettuce and our legendary Big Mac special sauce. BIG MAC SAUCE: Soybean Oil (Antioxidant ), Water, Relish [Pickles, Sugar, High Fructose Corn Syrup, Distilled Vinegar, Corn Syrup, Salt, Thickener (415), Preservative (202), Spice Extract, Emulsifier (433)], Mustard [Water, Vinegar, Mustard Seed, Salt, Sugar, Colours (100, 150d), Spice], Salted Egg Yolks, Distilled Vinegar, Onion, Thickener (1442, 415, 405), Spices, Sugar, Salt, Hydrolyzed Proteins (Corn, Gluten, Wheat and Soy), Colours (160c, 150d, 100), Preservative (211), Emulsifier (433), Garlic, Antioxidant (385). CARAMELISED GRILLED ONION: Onions, Vegetable Oil (Palm and/or Cottonseed, Soybean), Salt, Sugar, Caramelized Sugar, Onion Powder, Maltodextrin, Flavours, Spice. BACON RASHER: Pork, Water, Salt, Sugar, Emulsifiers (451, 450), Dextrose (Maize, Tapioca), Antioxidant (316), Acidity Regulator(330), Sodium Nitrite (250), Rosemary Extract. Smoked.